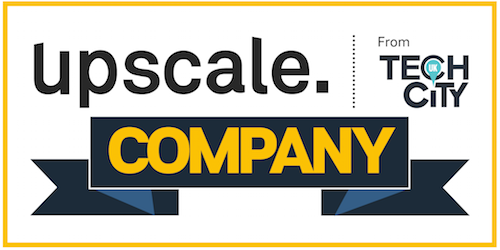 We’re excited to announce that we’ve joined Upscale 2017, an initiative to drive the UK’s most promising early stage tech companies. Run by Tech City UK, this year’s program includes over 30 social and coaching events designed to help technology firms scale to global success. Under the leadership of high profile UK tech entrepreneurs, the 33 firms will work together to ‘scale fast, scale together’. This year’s mentors include founders from Just Giving and Lastminute.com. The program is backed by Amazon Web Services, Tech City UK and Silicon Valley Bank. Cambridge Intelligence is one of 4 data and analytics companies in the scheme. Others in the category include Streetbees, Signal Media and LivingLens. Upscale connects founders and leadership teams from the UK’s most promising tech companies with world class Scale Coaches. Through a series of curated workshops and mentoring sessions they break down barriers to growth and uncover the key to scaling successfully. At Cambridge Intelligence we help organizations visualize their data and understand the complex connections within it. From fraud detection to cyber security, we make it possible for analysts to ‘join the dots’ in their networks, uncover hidden threats, and generate intelligence. Using our KeyLines technology, it’s quick and easy to build powerful data visualization applications, roll them into analysts’ tools and workflows, and deploy them anywhere in the world.